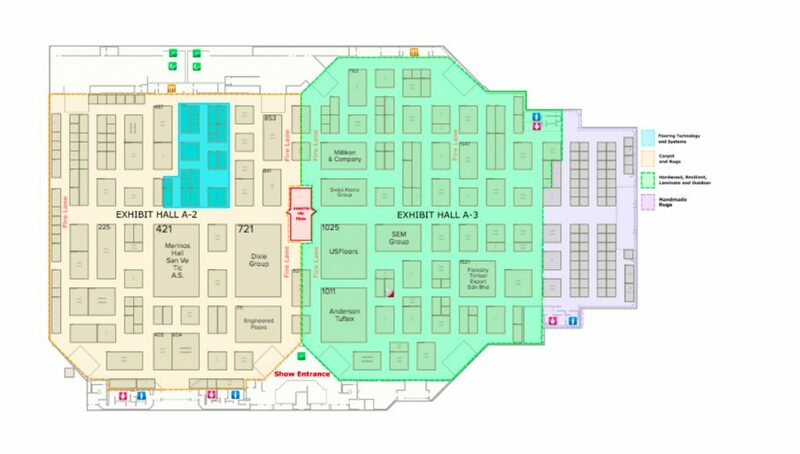 My first impression of the Domotex USA exhibitor list for 2019 is that is a mash-up of Surfaces Las Vegas type exhibitors, and three national local trade shows; India, China and Turkey. Given the consolidation in both the manufacturing and merchandising parts of the business I cannot imagine any significant undiscovered major customers. That said, trade shows serve many functions including the opportunity to get an overview of all that is changing in the various sectors. I do not see significant sales for the exhibitors simply because of the structure of the buying patterns for existing players. Machine investments are a long term proposition. Product placement or replacement involves many factors beyond factory FOB first cost, although that will be the main competitive factor. There is also an assumption that the orders will be for full containers on some sort of a regular schedule. The shorter the production run, generally the more expensive the goods. From what I see of this market there are at least 4 seasons with new introductions and old close-outs each season. The essential change has been a switch from buying for stock to buying for demand at higher margins and price points. The people in the online business are always engaged in a competitive price dance but at the end of the day there are major customer service issues that have to be accommodated. I remember hearing a rumor years back that a major buyer placed an order for New Zealand wool tufted rugs that was priced below the cost of the quantity of New Zealand wool required to make the carpet. The business is moving towards more price transparency at all levels. Domotex USA will accelerate that trend. It will make a deeper understanding of the components of production such as construction, fiber and customer service that much more important in addition to design, color and scale.